It’s shaping up to be a Christmas season with all the trimmings. In the first week of sales, the so-called “Cyber Week”, online purchases have reached a record never seen before. 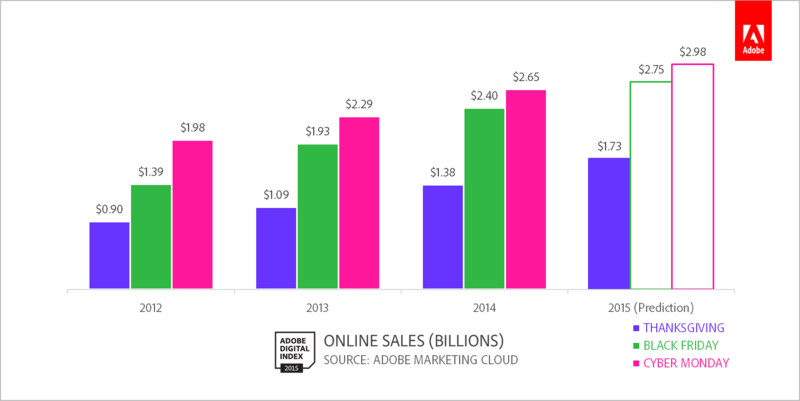 More than $ 4.5 billion in the US alone, spent between Black Friday and the Cyber Monday, for an average cart of $123.45 according to the estimate of Adobe, which analyzed more than 4,500 US e-commerce. Overall spending is growing, while the average basket is decreased by about $2 from last year, demonstrating that the hunt for the bast sale offer is even fiercer. The channel that performed better, against all odds, had been email marketing: according to Adobe, 14% of sales were generated by promotions sent via newsletter. 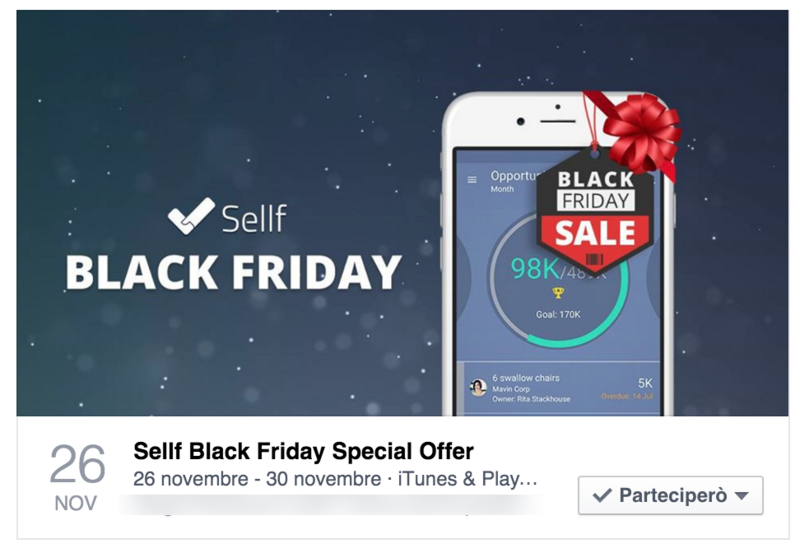 Social media, of course, played a key role as well: just think that the term “BlackFriday” and “CyberMonday” have been tweeted nearly 2 million times, according to the analysis by Social Studio (Salesforce Marketing Cloud), recording a + 21% from last year. The #CyberMonday hashtag was tweeted more than 210,000 times, with most of the tweets that included offers and promotions. 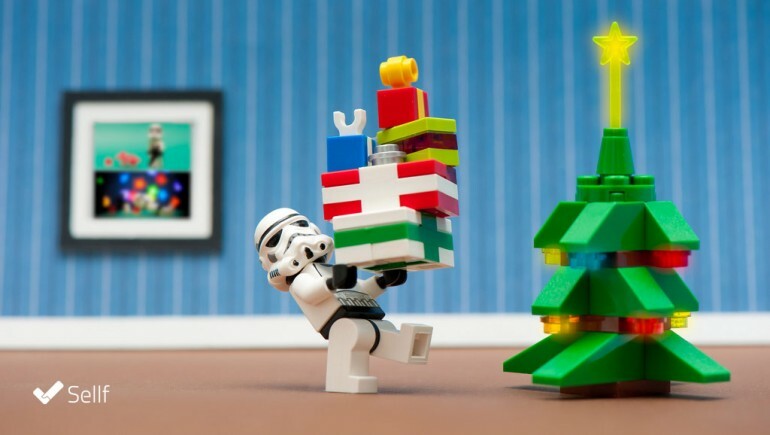 But this is just the beginning: the entire month of December until Christmas, indeed until Boxing Day and then New Year’s Day, will feature a high hype for sales and offers, online and beyond. The opportunity for companies, startups and professionals is undeniable: this is the perfect moment to attract new customers and give a boost to your business, starting in January 2016 with an edge. But how do you get noticed in this mess, where the visibility of tweets, posts and emails is bare to the bone? The solution is to devise a strategy that is different from all the others, able to amaze users and to make them devote a minute of their time to your product / service. Or simply to make them remember you, ot to re-establish a relationship forgotten for too long. Therefore, here are some ideas that may give an edge to your Christmas promotions. 1. Decorate your online presence. Your social profiles should ooze Christmas, reminding those who see your post they must hurry to purchase presents! If you offer a Christmas promotion, write it on the cover of your company Facebook page with a pretty picture and publish it in a nice post fixed in the first place. Otherwise you can publish pictures of your office decorated for Christmas, or you can even decorate your logo for Christmas: add a Santa Claus hat, add the snow to your background or give vent to your imagination. Take inspiration from Google and its gorgeous Christmas Doodles! 2. Launch an incredible promotion and plan it well. Leave your best promotion for this time of year, and maybe time it through several stages: a first promotion for Black Friday, then one for Cyber Monday, then for Free Shipping Day (December 18, the day when e-commerces offer the shipping cost for free) and then for Christmas, Boxing Day and for New Year’s Day. Each promotion should last only for one or two days around the event, to make your customers hurry. Let customers know that they will have all these moments to take advantage of your promotions. Create a dedicated landing page describing your offers and promote the different phases through email, social networks and maybe even a small advertising budget. Do not overdo the frequency of e-mail and social posts, but at the same time do not be shy: often if customers do not buy it is because they forget about you, caught between their daily tasks and other advertisements. 4. Create a community around your promotional offer. 5. Spread the word about your offer. Amplify your audience by entering your offer on all the sites listing sales; for example, for products on sales, these are great websites: DealNews, DealCatcher, SlickDeals. Look for the most suitable sites in your industry: there will be definitely a lot! 6. 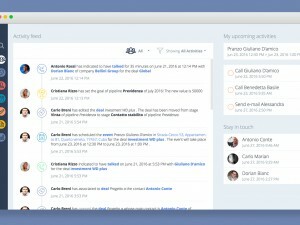 Organize a contests or a give away. They are the most loved by all! Launch a Christmas contest, offering a premium product or a special gift, with the goal to increase your visibility. 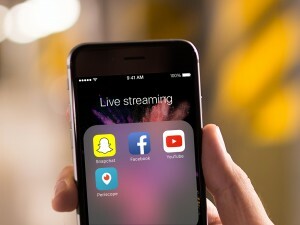 For example, the contest could invite users to share a content, maybe a photo or a video, using an hashtag invented by you; then, you will choose the best content or extract one of the participants. There are many tools to help you create contests on social networks without effort: Woobox, ShortStack, AgoraPulse just to name the most famous. Besides, you can organize a charity contest, in which each participant will help to achieve a charity result. 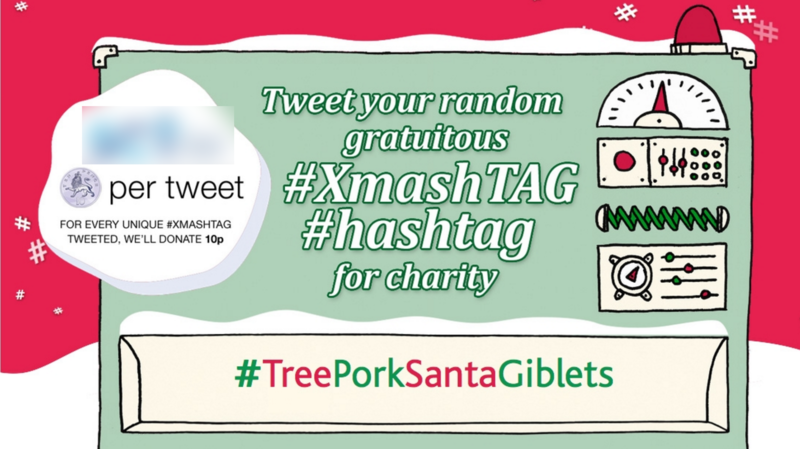 In the example below, a charity association donated 10 pence for each tweet with the hashtag #XmashTAG. 7. Finally, wish everyone a Merry Christmas! Do you have any other creative idea, or did you try a promotion that really had a great success?